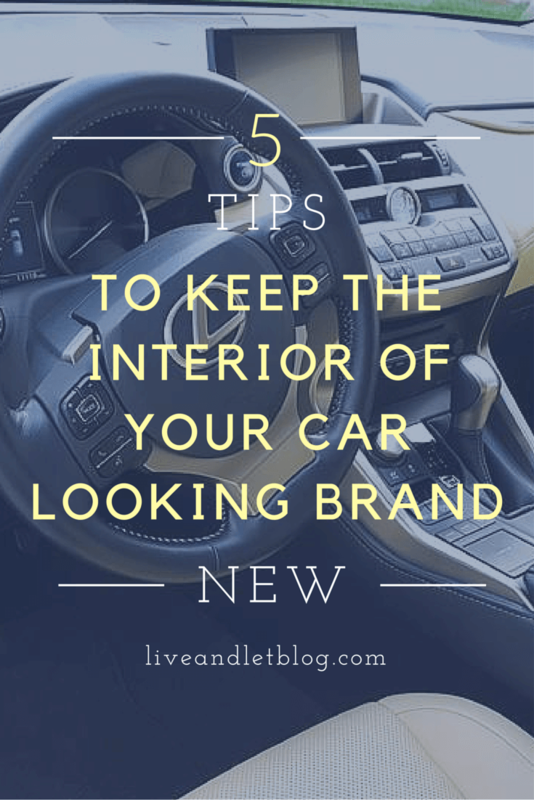 There are 5 tips to keep the interior of your car looking brand new that I’m going to share with you today. I take pride in the condition of the interior of my car. I can’t stand when it’s messy or dusty, and I’m always cleaning it. So I’ve come up with the five things I focus on the most when it comes to keeping the interior of my car looking immaculate. Every time you go to the car wash, take the extra time to do a great job with the vacuum. Sand and dirt get below the carpet, and the carpet starts to deteriorate. Each grain of sand has roughly SEVEN razor sharp cutting edges. Those edges start to eat your carpet from the bottom up. so, take your time when you’re vacuuming and show the sand who’s boss. I carry a little hand held broom/brush in the side pocket of my door. It’s great to use for dust that gets on the dash, and in the air vents. Every time you’re stuck at that traffic light that seems to take hours (you know the one I’m talking about) grab your little brush and clean up a little of the dust on your dash and in the vents. Clean the inside of your windows about once a month. I like to use window cleaner that has vinegar added to it. It does an awesome job of cutting through the oil buildup on the inside of the windshield. That kind of filmy layer is from the natural oils that evaporate from vinyl, leather, and plastic components when parked in a warm location. Don’t use greasy cleaning products. Products like Armor All are another huge contributor to window film. I like to use the Mr. Clean Magic Eraser. It doesn’t leave behind a greasy residue, and it does a great job cleaning the plastics, vinyl, and leathers in the car. Replace your mats when you starts to notice they’re getting thin where they make contact with the actual carpet of the floor board. When they start to wear out like that, it puts more pressure on the carpet underneath of them thus, more pressure on the sand and silt underneath the carpet that we talked about earlier. I replace the mats in my car about once a year. Keeping your car looking great is so much easier now that you’ve learned these 5 tips to keep the interior of your car looking brand new. Having a clean interior provides a nice sense of pride, and a well taken care of interior significantly boosts the car’s value if you decide to trade it in later. Of these 5 tips which one do you find the most useful? Are there any cleaning regimens that you follow like these? What would have added to this list? Let me know down in the comments and thanks for reading! Amazon affiliate links were used in this article.